The concept of Chakra is common to many traditions. Ko shos or pressure points in one branch of esoteric Japanese Judo and acupuncture points seated in the spine and acupressure points massaged in shiatsu have similarities with Chakras of Indian tradition. Chakras form through the subtle energy body along the sushumna nadi(spinal cord). Mooladhara is considered as the root or foundation chakra and is the transcendental basis of physical nature. It marks the interface between two modes of evolution as it is the lowest chakra in man but the highest in animals. By stimulating this chakra via the practise of moola bandha we can raise ourselves higher again as the kundalini rises through the psychic centres or chakras lifting our consciousness to the level of divine. The main aspect of Mooladhara chakra is innocence. Mooladhara is the base from which the three main psychic channels or nadis emerge; the Ida, pingala and sushumna. Mooladhara is considered as the subtle abode of Hindu God Ganapati. Mooladhara chakra is associated with the element of earth, the sense of smell and the action of excretion. 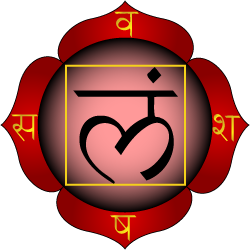 Muladhara is described as a yellow, square lotus, surrounded by eight shining spears on the sides and corners, and with four red petals. There are four petals which correspond to the number of nadis in this particular centre. The colour of the petal is red. The letter of the Sanskrit alphabet representing the four petals or the nadis are wam, sham, sam. The powers gained through the awakening of the centre are full knowledge of kundalini and the power to awaken it. Mooladhara chakra has direct link with ajna chakra situated in the middle of the brain. Thus by stimulating this centre through moola bandha we also awaken our intuitive faculties associated with the third eye, the eye of intuition. 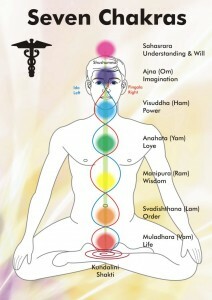 Kundalini arousal can take place with awakening of any one of the chakras. Mooladhara is the trigger that which activates the arousal of kundalini. 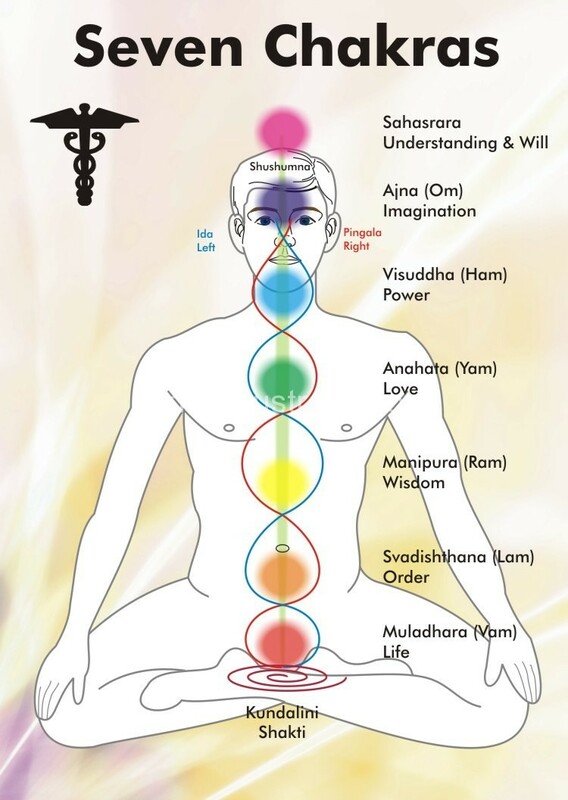 The word kundalini is derived from two Sanskrit words kundala and kunda . kundala means coiled and kunda means a pit. Thus kundalini is symbolised as a snake.